Wouldn’t it be fun if a company hired you to hack its website/network/Server? Well, Yeah! Penetration testing, commonly known as pen-testing is on a roll in the testing circle nowadays. The reason is not too hard to guess – with the change in the way computer systems are used and built, security takes the center stage. Even though companies realize that they can’t make every system 100% secure, they are extremely interested to know exactly what kind of security issues they are dealing with. That’s where Pen-testing comes handy with its use of ethical hacking techniques. It is a method of testing in which the areas of weakness in the software systems in terms of security are put to test to determine, if ‘weak-point’ is indeed one, that can be broken into or not. Step #1. It starts with a list of Vulnerabilities/potential problem areas that would cause a security breach for the system. Step #3. Devise penetration tests that would work (attack your system) from both within the network and outside (externally) are done to determine if you can access data/network/server/website unauthorized. Step #4. If unauthorized access is possible, then the system has to be corrected and the series of steps need to be re-run until the problem area is fixed. Testers/ Network specialists/ Security Consultants perform Pen-testing. Note: It is important to note that pen-testing is not the same as vulnerability testing. The intention of vulnerability testing is just to identify the potential problems, whereas pen-testing is to attack those problems. Good news is, you do not have to start the process by yourself – you have a number of tools already available in the market. Wondering, why tools? Even though you design the test on what to attack and how you can leverage, a lot of tools that are available in the market to hit the problem areas and collect data quickly that in turn would enable effective security analysis of the system. Before we look into the details of the tools, what they do, where you can get them, etc. , I would like to point out that the tools you use for pen-testing can be classified into two kinds – In simple words, they are scanners and attackers. This is because; by definition, pen-testing is exploiting the weak spots. So there are some software/tools that will show you the weak spots, & some that show, and attack. Literally speaking, the ‘show-ers’ are not pen-testing tools but they are inevitable for its success. => Want to suggest other tools in this list? Let us know here. Netsparker is a dead accurate automated scanner that will identify vulnerabilities such as SQL Injection and Cross-site Scripting in web applications and web APIs. Netsparker uniquely verifies the identified vulnerabilities proving they are real and not false positives. Therefore you do not have to waste hours manually verifying the identified vulnerabilities once a scan is finished. It is available as a Windows software and an online service. Acunetix is a fully automated web vulnerability scanner that detects and reports on over 4500 web application vulnerabilities including all variants of SQL Injection and XSS. It complements the role of a penetration tester by automating tasks that can take hours to test for manually, delivering accurate results with no false positives at top speed. Core impact: With over 20 years in the market, Core Impact claim the largest range of exploits available in the market, they also let you run the free Metasploit exploits within their framework if they are missing one. They automate a lot of processes with wizards, have a complete audit trail including PowerShell commands, and can re-test a client simply by re-playing the audit trail. Core write their own ‘Commercial Grade’ exploits to guarantee quality and offer technical support around both those exploits and their platform. They claim to be the market leader and used to have a price tag to match. More recently the price has come down and they have models appropriate for both corporates and security consultancies. Probely scans your Web Applications to find vulnerabilities or security issues and provides guidance on how to fix them, having Developers in mind. Probely not only features a sleek and intuitive interface but also follows an API-First development approach, providing all features through an API. This allows Probely to be integrated into Continuous Integration pipelines in order to automate security testing. Probely covers OWASP TOP10 and thousands of more vulnerabilities. It can also be used to check specific PCI-DSS, ISO27001, HIPAA, and GDPR requirements. It can be used on web applications, networks, servers etc. It has a command-line and the GUI clickable interface works on Linux, Apple Mac OS X and Microsoft Windows. Although there might be few free limited trials available, this is a commercial product. This is basically a network protocol analyzer –popular for providing the minutest details about your network protocols, packet information, decryption etc. It can be used on Windows, Linux, OS X, Solaris, FreeBSD, NetBSD, and many other systems. The information that is retrieved via this tool can be viewed through a GUI or the TTY-mode TShark utility. You can get your own free version of the tool from the link below. W3af is a Web Application Attack and Audit Framework. Some of its features include fast HTTP requests, integration of web and proxy servers into the code, injecting payloads into various kinds of HTTP requests etc. It has a command-line interface and works on Linux, Apple Mac OS X and Microsoft Windows. All versions are free of charge to download. Kali Linux is an open source project that is maintained by Offensive Security. Few prime features of Kali Linux include Accessibility, Full Customisation of Kali ISOs, Live USB with Multiple Persistence Stores, Full Disk Encryption, Running on Android, Disk Encryption on Raspberry Pi 2, etc. Tools Listings, Metapackages and version Tracking are some of the Penetration Testing tools present in Kali Linux. For more information and in order to download, visit the below page. Nessus is also a scanner and it needs to be watched out for. It is one of the most robust vulnerability identifier tools available. It specializes in compliance checks, Sensitive data searches, IPs scan, website scanning etc. and aids in finding the ‘weak-spots’. It works best on most of the environments. For more information and in order to download, visit the below page. Burp suite is also essentially a scanner (with a limited “intruder” tool for attacks), although many security testing specialists swear that pen-testing without this tool is unimaginable. The tool is not free, but very cost effective. Take a look at it on the below download page. It mainly works wonders with intercepting proxy, crawling content and functionality, web application scanning etc. You can use this on Windows, Mac OS X and Linux environments. If cracking encrypted passwords or network keys is what you need, then Cain & Abel is the perfect tool for you. It uses network sniffing, Dictionary, Brute-Force & Cryptanalysis attacks, cache uncovering and routing protocol analysis methods to achieve this. Check out information about this free to use a tool at the below page. This is exclusively for Microsoft operating systems. ZAP is completely free to use, scanner and security vulnerability finder for web applications. ZAP includes Proxy intercepting aspects, a variety of scanners, spiders etc. It works best on most platforms. For more information and in order to download visit the below page. Another password cracker in line is John the Ripper. This tool works on most of the environments, although it’s primarily for UNIX systems. It is considered as one of the fastest tools in this genre. Password hash code and strength-checking code are also made available to be integrated into your own software/code which I think is very unique. This tool comes in a pro and free form. Check out its site to obtain the software on this page. As opposed to a certain application or a server, Retina targets the entire environment at a particular company/firm. It comes as a package called Retina Community. It is a commercial product and is a sort of a vulnerability management tool more than a pen-testing tool. It works on having scheduled assessments and presenting results. Check out more about this package at the below page. Sqlmap is again a good open source pe-testing tool. This tool is mainly used for detecting and exploiting SQL injection issues in an application and hacking over of database servers. It comes with the command-line interface. Platform: Linux, Apple Mac OS X and Microsoft Windows are its supported platforms. All versions of this tool are free for download. Check out the below page for details. Immunity's CANVAS is a widely used tool that contains more than 400 exploits and multiple payload options. It renders useful for web applications, wireless systems, networks etc. It has a command-line and GUI interface, works best on Linux, Apple Mac OS X and Microsoft Windows. It is not free of charge and more information can be found at the below page. The Social-Engineer Toolkit (SET) is a unique tool in terms that the attacks are targeted at the human element than on the system element. It has features that let you send emails, java applets, etc containing the attack code. It goes without saying that this tool is to be used very carefully and only for ‘white-hat’ reasons. It has a command-line interface, works on Linux, Apple Mac OS X and Microsoft Windows. It is open source and can be found at below page. Sqlninja, as the name, indicates it is all about taking over the DB server using SQL injection in any environment. This product by itself claims not to be so stable. Its popularity indicates how robust it is already with the DB related vulnerability exploitation. It has a command-line interface, works best on Linux, Apple Mac OS X and not on Microsoft Windows. It is an open source and can be found at the below page. “Network Mapper” though not necessarily a pen-testing tool, it is a must-have tool for ethical hackers. This is a very popular hacking tool that predominantly aids in understanding the characteristics of any target network. The characteristics include host, services, OS, packet filters/firewalls etc. It works on most of the environments and is open sourced. BeEF stands for The Browser Exploitation Framework. It is a penetration testing tool that focuses on the web browser which means, it takes advantage of the fact that an open web-browser is the window(or crack) into a target system and designs its attacks to go on from this point. It has a GUI interface, works on Linux, Apple Mac OS X and Microsoft Windows. It is an open source and can be found at the below page. Dradis is an open source framework (a web application) that helps with maintaining the information that can be shared among the participants of a pen-test. The information collected helps to understand what is done and what needs to be done. It achieves this purpose by the means of plugins to read and collect data from network scanning tools like Nmap, w3af, Nessus, Burp Suite, Nikto and much more. It has a GUI interface, works on Linux, Apple Mac OS X and Microsoft Windows. It is an open source and can be found at the below page. The above given is a huge list of penetration tools but that is not the end. There are few more tools and software that are gaining momentum in recent times. 22) Ettercap: A network and host analysis tool that provides sniffing and protocol dissection among other things. More info here. 23) Veracode: Works with the code development process to ensure security and minimize the vulnerabilities at the source level. Check here. 24) Aircrack-ng: Captures data packets and uses the same for recovery of 802.11 WEP and WPA-PSK keys. Download here. 25) Arachni: This is a Ruby framework that helps in analyzing web application security. It performs a meta-analysis on the HTTP responses it receives during an audit process and presents various insights into how secure the application is. Download here. 24) IBM AppScan: As the name itself indicates, this is a scanner that identifies problem areas and suggests remedial actions. Download here. 25) Nagios: This Software when used will monitor the entire environment including servers, applications, network – the entire infrastructure and alert when a potential problem is detected. Download here. 26) WebScarabNG: This tool uses the HTTP/https requests between the browser and the server to understand, capture and sometimes modify the parameters that are part of the communication between the two parties. Download here. 27) Maltego: This is a unique tool that focuses on showing/highlighting the relationships between people, sites, infrastructure etc. in order to identify inconsistent/incorrect connections. Download here. 28) IronWASP: It is a customizable scanner creator for web applications using python/ruby scripting. Download here. 29) HconSTF: Using this tool you can create your own web exploits, decoys that you can use to exploit vulnerabilities in the areas of passwords, databases, network etc. Download here. 30) OpenVAS: Stands for Open Vulnerabilities Assessment System. Well, the name says it all. For more info, check here. 31) Secunia PSI: It is a personal software inspector that will keep your system secure when installed. Try it here. Have you performed pen-testing before? If yes, please share your experiences. 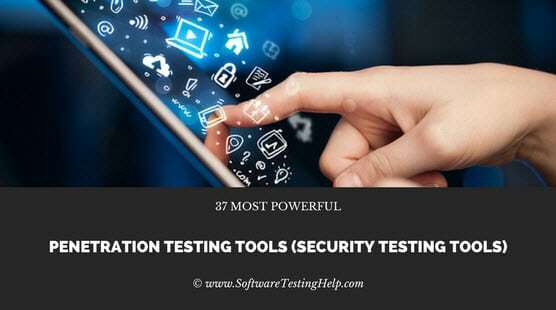 Which security and penetration testing tool do you use? If we missed any important tool in this list please let us know in the comments below. => Missing any tool in this list? Let us know here. Agree with this list, covers essential tools required for any pentester doing basic web and infrastructure testing. I also use AttackForge.com to manage pentesting projects and for automated reporting.